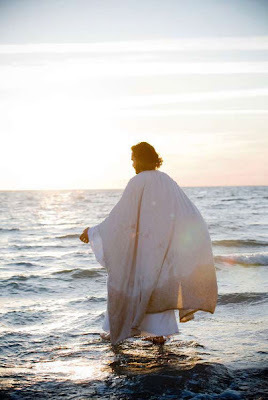 I normally wouldn't blog about moments so special that could be mocked or discredited but I really wanted to because I love the savior so much. I have been lucky in my life to develop a relationship with my savior. This came by studying his life and having a great appreciation and love for all he has done. I love goodness in people. I love people loving people. I always appreciate when I am loved. It gives me strength and hope to move forward. We all need to love as the savior taught by example. I try to emulate the savior's love. I am not perfect at it and haven't been good at it for the last little while. I used to like walking around on campus and try to be christ-like. I would smile at everyone and hope that I could emulate the savior. I am a dork, I know. I loved, loved, loved conference Easter weekend. The talks touched me personally. I think these talks and fasting (well not a true fast) prepared me to feel the spirit at church this last sunday. It has been a few years since I have felt the spirit burning in my heart. I love that feeling and never want it to leave, but it always does. I was so happy to feel the spirit again! I have been longing for it. I know god live and loves us. I am sad because my children have told me they have never had that feeling. I pray and hope that they will be blessed with that testimony some day.